This one-of-a-kind course will answer all of your risk and liability questions when it comes to finding, hiring, compensating, training, evaluating, and firing team members. The growth of teams has clearly outpaced the support activities needed to ensure their success. This course will give you a firm foundation on how to manage your human resources and how to acquire and attract the right talent for your team. 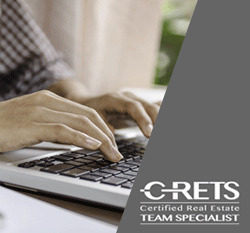 This course is an elective for the Certified Real Estate Team Specialist (C-RETS) certification and is an approved elective for the Seller Representative Specialist (SRS) designation.